Call centers can be very hectic for agents and other employees working there. It is the nature of the work that is done in these places which makes the task hectic.The pressure increases with the increase of call volume therefore it is necessary to implement certain strategies to reduce pressure on call center agents at this time. 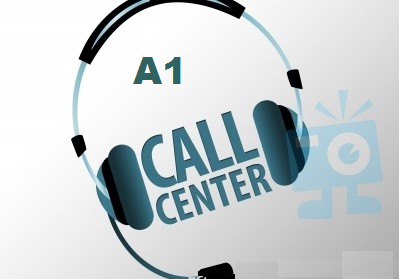 We, at A1 , have faced such situations many times and have developed some very effective strategies that have helped us in reducing pressure when the call volumes increase. We Plan In Advance: Planning in advance for such situations is the best thing one can do. Our analysts are highly trained and expert in forecasting the forthcoming requirements. We prepare ourselves for the coming workload as per their forecast. Further, we may even add extra agents to a process to ensure that it does not suffer when the workload increases. Frequent Breaks during Peak Times: Rather than forcing agents and grilling them to stay on their seats more during peak times, we allow them to take frequent breaks as it keeps them rejuvenated and refreshes them. This ensures that the quality of the work is not compromised due to extra overload. Top Reasons for Incoming Calls: There are usually some reasons or requirements that are common in most of the calls received. We prepare a list of approximately 20 such common reasons and update our existing as well as new agents with this list. Further, we also share with them the most relevant and suitable answers for such queries. Automation of Various Processes: There are various processes that are done manually in every call center. We have automated most of these processes as it provides more time to agents to focus on the queries of customers. Our agents are now able to better focus on the customers and the customer satisfaction level has also increased significantly. These are some of the things that we do to reduce the pressure on our agents during peak hours. The above strategies have served us very well till now and we would recommend them to every call center. If you have any questions regarding this topic or want to share your thoughts on it then please feel free to leave us a comment below.